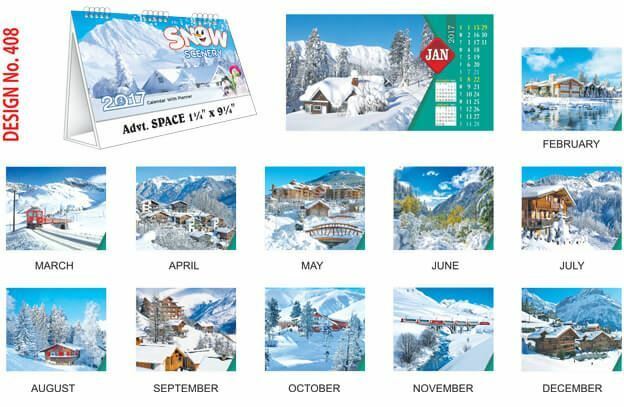 Big Desktop Calendar 2017, Size 7" x 9.5" (Width x Height) / Advertisement Space Size 1.25" x 9.25"(Width x Height). Table calendar 2017 with 13 sheet. Each sheet contains the single month with lot of space for planning your day to day activities.